If you are in need of a baby crib, then a congratulations may be in order! You've come to the right place. Let's get right to looking at the best baby cribs on the market. Shopping for a baby crib can be a daunting task. There are so many features to look for, and you may be wondering what's really best for you and your little one. Well, take a long deep breath and take it easy, because I've done all the hard work for you. I've ranked the top ten best baby cribs of 2018 below. You can click on each individual crib and see a product review below. So take a comfy seat and let's get baby crib shopping. Here Are The Best Baby Cribs of 2018! If you were born 30 years ago, chances are you had a standard baby crib. However, if you are younger, you might have noticed standard baby cribs on old TV shows and movies. 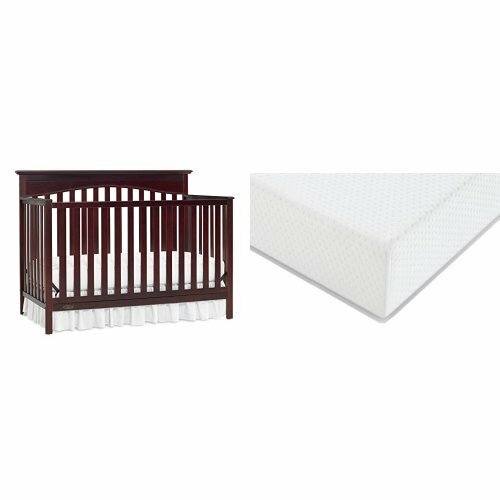 Standard baby cribs come with four fixed sides and slats. It's like a tiny and safe little baby jail. A place to put your little one while you take a nap or go to sleep at night. And, because of the bars, you won't have to fear him or her falling out. Convertible cribs are also known as lifetime cribs. They are designed to grow with your baby. The basic feature of this type of crib is that it can convert into different types of furniture. Most convertible baby cribs can convert into a standard crib, day bed, toddler bed, single bed, or double bed. Sometimes a number system is given to the convertible cribs in order to show how many different ways the crib can convert. For example, a 3-in-1 crib can convert into three different types of furniture. If you live in a small apartment or are short on space, a portable baby crib may be your answer. With a portable crib, as the name implies, you can move it from one room to another. 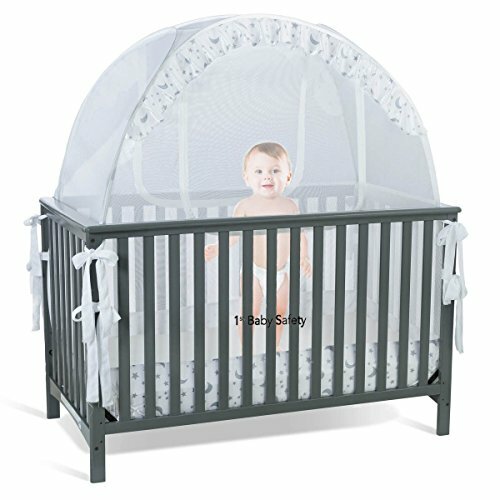 Portable cribs are on wheels and can be easily moved by pushing. A travel crib packs up and can be carried in one hand. So, if you are on the move and sleep in different places often, this may be the crib for you. This will also come in handy if you travel often or take business trips for work. Travel cribs are lightweight and mobile. For people that do travel, it's nice that your baby will still get to sleep in the same bed each night. As the name suggests, a multipurpose baby crib will serve more purposes than just sleeping. This crib may be able to convert into a baby changer, dresser, or shelf-storage. A bassinet is a bed specifically made for babies from birth to about four months of age. They usually have fixed legs and casters for easy mobility from one room to another. After about four months, babies are usually transferred to a crib. Moving your baby to a crib can be a big transition for your child. A lot of children are not going to fall asleep at first. Fortunately, for both you and your child, there are some ways to get your child to sleep. I'll go over a few tips on how to get your child to sleep in a crib. Around 30 minutes before bed, you will want to start slowing things down. Give your child the time to wind down and get sleepy. Mild activities, such as reading a book or taking a bath, can be fun activities that don't require much excitement. A silent room may make your child more upset and lonely. To make sleeping for your child easier, you may need to add white noise. Before your child sleeps in the crib for the whole night, you may want to allow your child to sleep in the crib only for naptime. That way, there is plenty of time for your child to get used to the crib without interfering with your sleep. This also allows you to watch your baby and make sure everything goes alright the first time he tries it. Once you find a routine you like, you will want to make it a habit. For example, if you put your child in bed at 8 o'clock, then continue to follow that routine every night. If you make it a habit, your child should be tired by the time 8 o'clock strikes. Think about what is going to work for your family. With so many options to choose from, make sure to pick what is going to meet your individual family's needs best. If you travel a lot, you may want a travel crib. Or, if you like your baby near you at all times, a lightweight crib with wheels might work best. And, if you're looking for a baby crib that will last you a long time, the convertible crib might be worth it despite having a higher price. Breastfeeding will be more convenient. 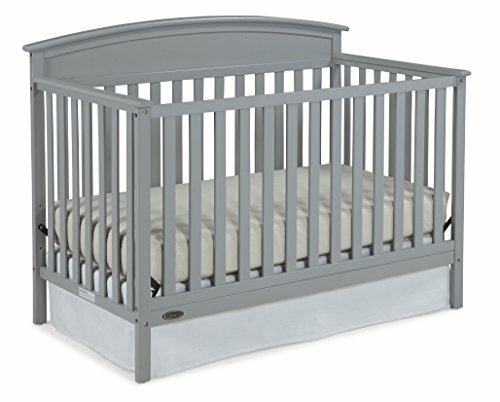 Since your baby will be spending a lot of time sleeping in his crib, it is essential to get a safe one. Besides your own thinking about safety, there are some safety standards that are in place. Remember, however, that the safety standards are being updated all the time. You will want to make sure that the crib you are interested in meets the safety standards that are currently in place. To help you do this, I'll go over some of the safety standards that are currently in place. For more information on the safety standards and recalls, you may want to check the CPSC, which will tell you about recent recalls on products. The main safety standards that need to be met as of today are pretty simple. The mattress needs to have good support, and the slats and hardware need to be very durable. Make sure your crib hasn't been recalled. If it has, you should get rid of it to prevent injuries from happening. The slates can be no more than 2 3/8 inches apart. This is because if they are too far apart, your child could get a limb stuck. This isn't too big of a concern nowadays, since most modern cribs meet this safety standard. However, if you have an older crib, you will need to make sure the slats are close together. One crib that has been banned from the United States is the drop-side crib. The drop-side crib's issues are that the plastic hardware can break, it can be installed upside-down which increases the chance of it breaking, and the drop side pieces can go missing over time. Although it is illegal to make, sell, or donate a drop-side crib, some people who have older cribs may still have it. Therefore, make sure to check if your crib is a drop-side crib. If it is, it is best to get rid of it. Of course you are going to want to make sure that your baby's sleep space is as safe as it can be. Some features of the past, are no longer considered safe on baby cribs any longer. Keep in mind that most cribs do not come with a mattress. Because of this, you will need to buy your own mattress separately. As easy as this sounds, there are a few important features to look for. I'll go over these features here. 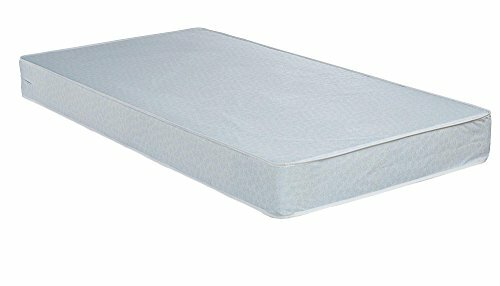 There are two different types of crib mattresses: foam mattresses and innerspring mattresses. Innerspring mattresses are higher in price and are heavier than foam mattresses. The foam mattress, on the other hand, is very lightweight, and not too expensive. Although both types work well, most people recommend the foam mattress. One of the current safety standards is that the mattress support must be good. The mattress will need to be firm. Most mattresses and cribs come in the standard size, but it is best to check the size anyway. The mattress should be snug in the crib, and there shouldn't be any noticeable gaps between the mattress and the crib. Since cribs are for young children, your child will most likely have some accidents in the bed. When this happens, you will be thankful that you have a waterproof, machine washable cover. That way, you can easily throw the cover in the washing machine. Once you have your crib picked out, it's time to pick out the mattress and sheets. This can be the fun part, especially if you are into decor. It can be fun to find different colors and fabrics to match your house or baby room. Make sure that you pick out the right dimensions that will fit a baby crib or bassinet. Remember that it's important that you pick the bassinet or baby crib first so that you can buy the right sized mattress and sheets to fit them. A crib skirt is very decorative and prevents the mattress support springs from ripping the sheets. It also allows you to store items under the crib without them being seen. Once you buy your crib, you will need to purchase the crib sheets. You will also need to buy blankets. Keep in mind, however, that you won't want so many blankets that they suffocate your child. For safety reasons, it is best to not buy a lot of blankets while your child is young. A mobile can be hung over the crib to keep your child entertained. Some mobiles, however, are made to help your child fall asleep. A baby monitor will allow you to watch your baby even when you aren't home, or when you are in a different room. Some monitors allow you to talk over the noise so that your baby can hear your voice. You will also be able to hear your baby on the baby monitor, so you will know when he wakes up. Young babies usually start off sleeping in a bassinet, so that they are close to the parents. This way, if your child cries in the middle of the night, you can easily reach him. Then, around 3 to 4 months, your baby will make his first big move from a bassinet to a crib. Once your baby moves to the crib, there isn't a big rush to move him to his own bed. Your child can stay in the crib until he doesn't fit in it anymore, no matter what age he is at. Most children move to a bed when they reach 1 1/2 to 3 1/2 years old. Once they reach this age, they are ready for a full sized bed. However, some parents allow their toddler to sleep in a daybed first. Some cribs will convert into a daybed. This allows your child to sleep in what feels like a bed, but it is still their crib. Once your child is sleeping in a daybed, you can decide when he should move to a full-sized bed. If the daybed is small, it is best to have him move once he is too big to sleep in the daybed. To save money, you may want to consider purchasing a convertible crib, also called a conversion kit. This means that your child can sleep in the crib until he is a toddler, or even older. You may be able to buy a full-size crib, which means it converts into a full sized bed. This is a good option for those who want to save money on buying beds. The snug feeling of a swaddle may be comforting to your child. It may remind him of the comforting feeling of being held in his mother's arms, and therefore help him fall asleep. Remember to make sure the swaddle is not too tight, and make sure he will not suffocate. As I mentioned earlier, it may help to have white noise. If your house is completely silent, it can make your child feel lonely. It can also cause your child to wake up at every small noise. With white noise, on the other hand, it will block out other sounds and can make your child feel not as isolated. High density thermo-bonded core provides firm support. Lightweight design. 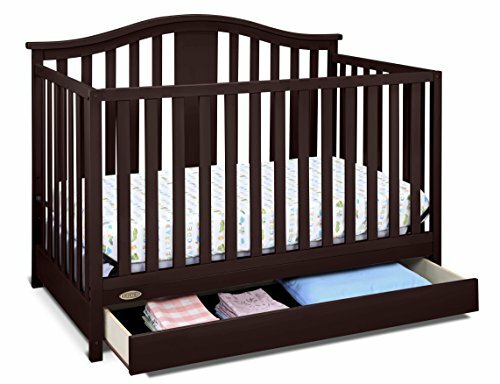 Fits standard cribs and toddler beds. Vinyl cover is water resistand and durable. GIVE YOURSELF TOTAL PEACE OF MIND TODAY: - Your baby is not sleeping day or night, climbing - falling out of the crib or gets his or her little shoulder, arm and leg dangerously stuck between the crib slats at every chance. You need a safe way to prevent this happening.... You just found it! SEE THROUGH MESH COVERING: with Built in loops for baby monitor viewing, this product was tested for compliance by a CPSC - accepted accredited laboratory and complies with all applicable children's product safety rules. POP-UP CRIB TENT THE ONLY SAFE SOLUTION! - Made using strong soft to touch BPA Free mesh netting, the self-supporting safety frame is flexible spun wire it will hold to its original shape even after movement. The crib tent installs in seconds with no assembly required. The crib net sits snugly inside the crib for safety. No lose netting so your baby can't get tangled. The bottom of the net sits well under the mattress. The net closes securely with an auto locking zip. I hope this guide to buying the right crib helps you out in your search for the best baby crib. Make sure to look through each of the top ten baby cribs at the top of this article. And remember, just because your crib choice may not have the highest of the top ten baby cribs listed, it may still be perfect for your family. And in the end, that's all that really matters. Have fun and happy shopping!